100% Pure Therapeutic Grade Clementine Essential Oil Botanical Name: Citrus nobilis Comes in 10ml amber glass essential oil bottle. European Dropper Cap included. What sets Healing Solutions Essential Oils apart is superior cultivation of ingredients that are the best in the world. Combined with superior distillation and bottling care process, We GUARANTEE that our oils are aromatically superior and more effective than any other oils - if you disagree we will refund your money! The Leading Aromatherapy Associations (Alliance of International Aromatherapists (AIA), International Aromatherapy and Aromatic Medicine Association, Aromatherapy Trade Council, and others) all state that essential oils should not be taken internally (regardless of purity or organic origin) unless under the guidance of a health care practitioner trained at an appropriate level . As such, all of our oils carry a label warning that the product is NOT FOR INTERNAL USE. 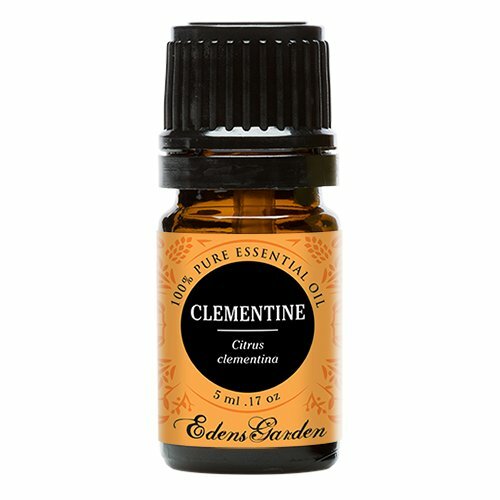 Clementine 100% Pure, Undiluted Essential Oil. Aroma: Bright, crisp, sweet, fruity, herbaceous. Blends well with: Bergamot, Jasmine, Palmarosa, Rose, Ylang Ylang. 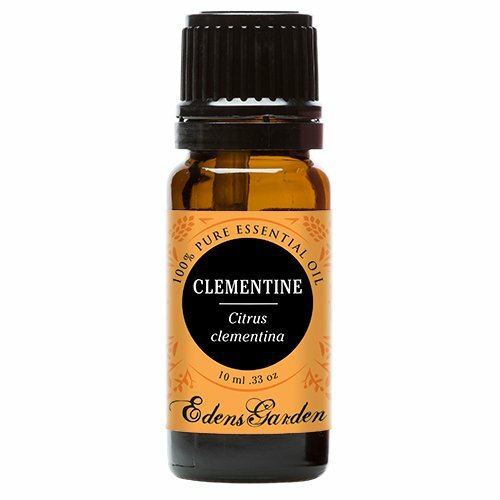 Clementine Essential Oil (Citrus Clementina) 5 ml. 100% Pure, Undiluted, Therapeutic Grade. Botanical Name: Citrus Clementina * Plant origin : Fruit peel Extraction method : Cold pressed Aroma : Sweet, exotic orange citrus Odor intensity : High Evaporation Rate : Top Note Origin : Italy Clementine is said to be a cross between an orange and mandarin. It has been held in high regard over the ages. It has a wonderful exotic sweet orange scent. Clementine essential oil is antiseptic, antispasmodic, antioxidant, cholagogue, digestive, diuretic, sedative, tonic, and nervine. 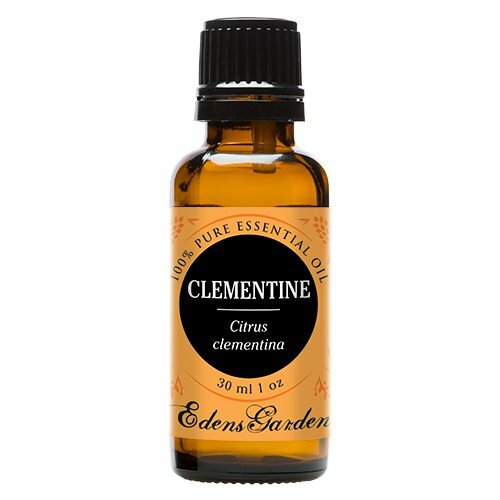 Clementine essential oil is an excellent addition to cosmetic applications, personal care formulations, soaps, perfumery, incense, candles, and aromatherapy. Our Aromatherapy Synergy Essential Oils Blend Set is an extraordinary collection of 6 (10mL each) oil blends that can be used for aromatherapy, custom massage and body oils, diffusers, vaporizers, oil burners, inhalation, perfume, blends, spa and home care. Pure Essential Oil Blends : Pirates of the Sea- The potent blend of Clove, Cinnamon, Lemon, Rosemary and Eucalyptus are combined for vitality, strength and a natural boost for physical and mental stamina -fortifying all systems of the body. Stress Free- Feeling anxious, nervous and unfocused? Release tension, anxiety and nerves from the inside out with this blend of Bergamot, Patchouli, Orange, Ylang Ylang and Grapefruit. Rest & Relax- Calm the mind, body and spirit with a perfect infusion of relaxation and tranquility with our Lavender, Marjoram, Copaiba Balsam, Roman Chamomile and Clary Sage combination blend. Breathe Easy- Inspire...and respire. Opens you up and gives you a breath of fresh air. The powerful benefits of Eucalyptus, Peppermint, Tea Tree, Fir Needle, Lemon, Cardamom and Laurel Leaf will calm the system and promote nights of well-deserved sleep. Cheer- Enjoy the perfect combination of Citronella, Lemongrass, Rosemary, Tea Tree and Lavender in this wonderful blend. Happy Citrus- Refresh your aromatic palette with an invigorating blend of Orange, Lemon, Mandarin, Clementine, Tangerine, Bergamot and Vanilla that wakes the senses and uplifts your mood. * Individual results may vary. We ensure high quality, steam-distilled, 100% pure oils. Suitable for all skin types, with no additives, fillers, bases or carriers added.